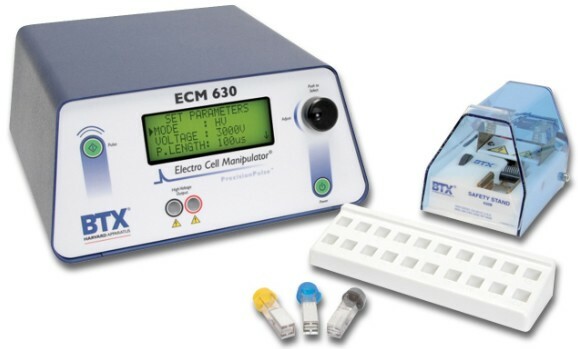 The ECM 630 is an exponential decay wave electroporation generator providing a broad range of voltage and time constants for full flexibility in varying transfection applications. 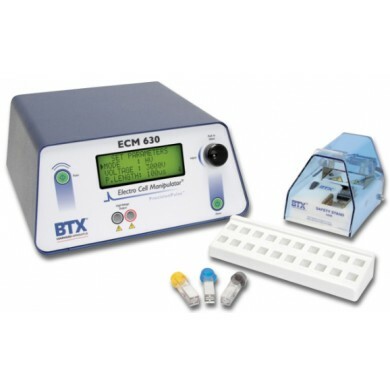 Capacitance range of 25 µF to 3,275 µF in 25 µF steps in LV mode; 10, 25, 35, 50, 60, 75, 85 µF in HV mode. Resistance range of 25 ohm to 1,575 ohm in 25 ohm steps.